When Dr Prashant Garg and our cornea fellow Dr Archana Singh wanted to see how astigmatism in patients after cataract surgery contributed to their near vision (pseudo accommodation), I had my reservations, but Archana persisted. So we set out with our first study by engaging Veerendranath, Consultant Optometrist. This study turned out to be a major success and Archana was awarded a travel grant to attend and present her work at the annual Association for Research in Vision and Ophthalmology (ARVO) meeting in Florida, USA. Subsequently, this paper was published in the journal Optometry and Vision Science, the premier journal of the American Academy of Optometry. Even after Archana left LVPEI on completing her fellowship, my lab pursued with this research and we published two more papers on the same. We have also secured some more grant money towards this research. We hope to design a cost effective and accessible strategy for optimizing near vision for elderly patients. 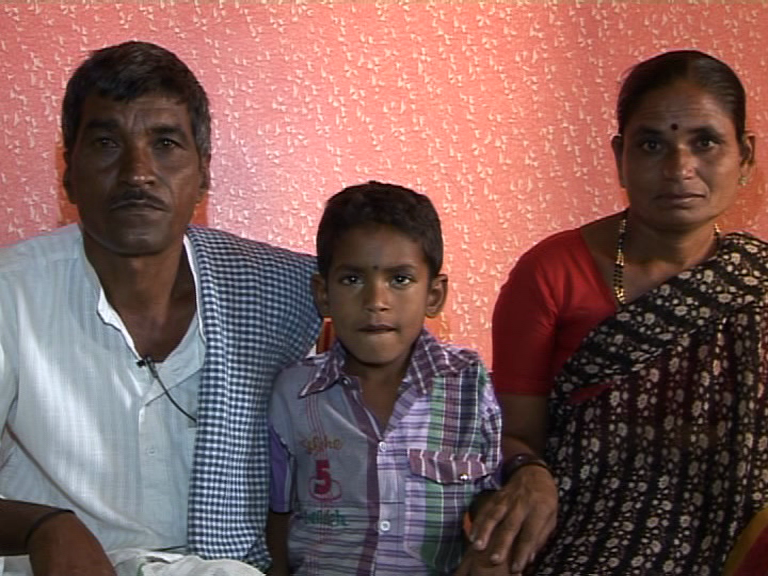 Seven year old Sharanappa had whitish cloudiness in both his eyes which was diagnosed as cataract. His grandfather Narsappa said that the child held his head at an angle and often had to stare to focus on objects. He had even developed a slight squint. 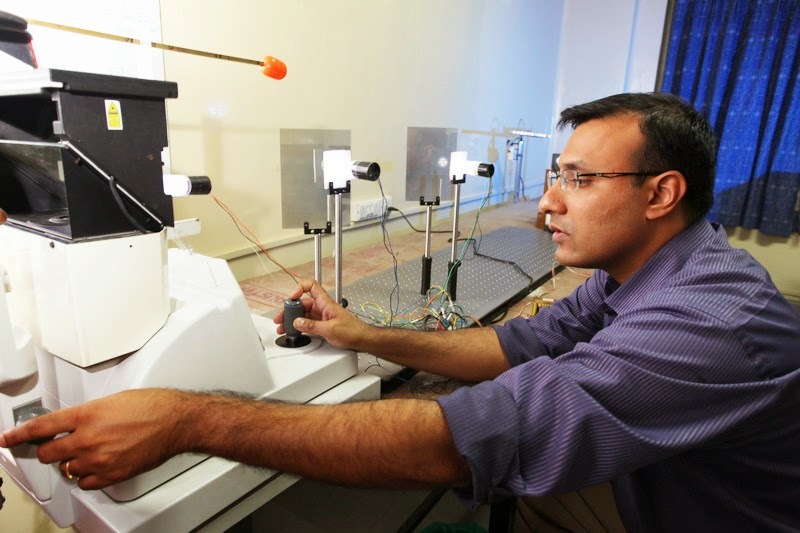 As Sharanappa's vision was rapidly diminishing, he was brought to LVPEI. Dr Ramesh Kekunnaya performed the surgeries on each eye separately, under anesthesia, in January 2014; the second surgery was performed after a gap of three days. 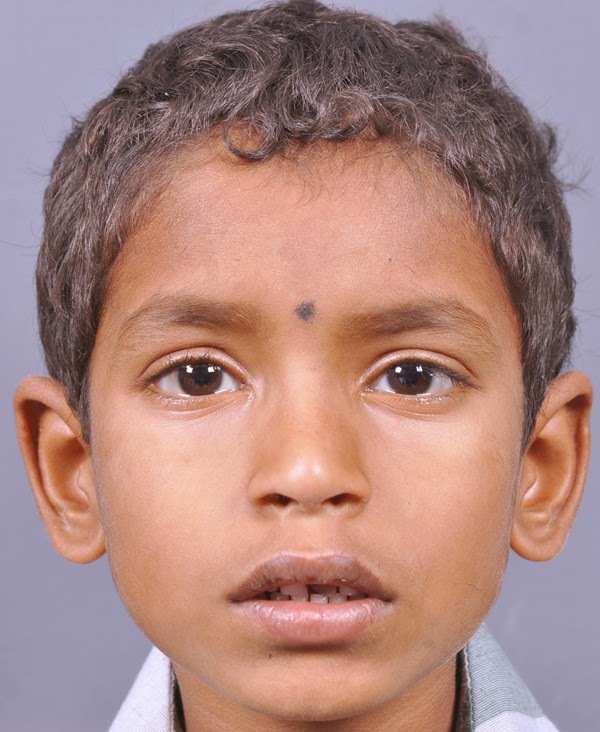 A week after his eye surgeries, we called and spoke to his mother Kavita. She gladly revealed that Sharanappa’s eyes did have more vision than before; he could correctly identify and distinguish various currency notes, bring back objects as told, and walk around at home on his own without being led. Grandparents Narsappa and Chennamma are thrilled with Sharanappa’s recovery. They eagerly share their experience with others in their village Methuku in Karnataka, and wholeheartedly recommend LVPEI in case anyone has vision problems. 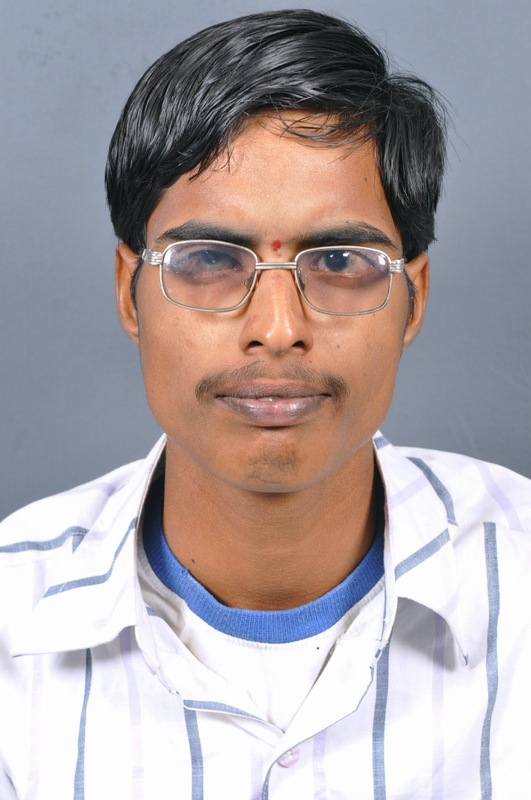 GK Uma Mahesh, 21, the only son of Mr K Swamy, a pan shop owner from Vadada village, Vizianagaram district, met with a tragic accident in June 2013 causing carotico-cavernous fistula (an abnormal communication between the blood vessels of the brain and the eye). On examination at the GMR Varalakshmi Campus at Visakhapatnam by Neuro-ophthalmologist. Dr Virender Sachdeva, he was found to have only perception of light in both eyes and a bilateral diffuse ophthalmoplegia (limitation of movements), besides difficulty in closing the right eye leading to dryness of the cornea in that eye. The diagnosis was bilateral traumatic optic neuropathy and facial nerve paralysis. He was treated with high dose steroid, tarsorraphy (a procedure to close the eyelids), and eye drops for lubrication. The timely intervention led to gradual improvement - near normal visual acuity in both eyes and complete recovery of eye movements.Mr Swamy is a much relieved man today. Uma Mahesh continues to be monitored by the neuro-ophthalmology and rehabilitation departments at LVPEI, but is able to manage his life independently, read and work again. 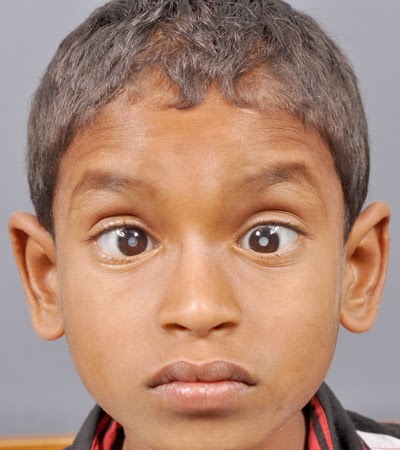 Gelli Kumar, 20, from a poor family in Nandigama village, Medak district , had lost vision in both his eyes when he was in his 5th standard, probably owing to the history of consanguinity in his family. A relative recommended LVPEI , and the visit transformed his darkened life forever. He had lost vision in his right eye completely due to atrophic bulbi , but his left eye was operated upon for retinal detachment and thankfully enough , a little vision was restored in it after the first operation in 2003. Following the second operation in 2006, he could see the blackboard and was also able to read books . Later to enhance his residual vision, low vision devices (LVDs) were provided free of cost by the Centre for Sight Enhancement (CSE) at LVPEI. Thanks to all these efforts and his own determination, Kumar passed his 10th standard examinations with 72% marks and his intermediate with 90% marks. Currently in his second year B.A, Kumar is grateful to Dr Vanita Pathak Ray and Ms Rebecca Sumalini. He wants to pursue his Masters in either Social Work or Law.